The other day I read an article called Top 10 Customer Experience Trends For 2016-17 by Brian Cantor. You can read it here. It has nothing to do with IVR. It’s about live-agent contact centers, and ways to improve the experience for the customer. Useful, pragmatic ideas. Are you seeing the same thing I saw? Every one of these is just as relevant to your IVR as it is to your agent team. And because your IVR, connected to your customer and backend databases, are as capable of achieving these goals as your live agents—within obvious constraints of course—they should be the goals of your IVR too. We talk a lot about the traditional IVR alphabet of metrics: FCR, ACH, TCR and so on. But we don’t talk about Brian’s metrics; we don’t talk about the quality of the interaction, the intelligence of the system, the personal connection between computer and caller. But here’s the thing: achieving those metrics will, organically, achieve the traditional metrics. 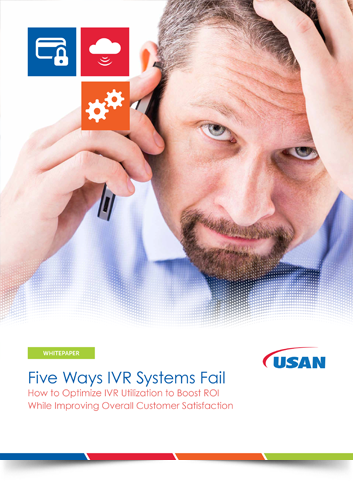 When the IVR knows about the customer, it’s easier to solve their problem. When the IVR has all available information at its disposal, it’s easier to lower average time to handle the problem. When the IVR can anticipate a problem, or see an opportunity to provide more value to the customer, upsell rates increase. I don’t propose we abandon the metrics we’ve been using for years. But I am suggesting we focus on the guidelines here as our strategic goals, and we’ll see those metrics improve.